The Lovely Bones meets Celeste Ng for teens in this gorgeous, haunting, and tragic novel that examines the crippling--and far-reaching--effects of one person's trauma on her family, her community, and herself. For the past eight years, sixteen-year-old Emilia DeJesus has done her best to move on from the traumatic attack she suffered in the woods behind her elementary school. She's forced down the memories--the feeling of the twigs cracking beneath her, choking on her own blood, unable to scream. Most of all, she's tried to forget about Jeremy Lance, the boy responsible, the boy who caused her such pain. Emilia believes that the crows who watched over her that day, who helped her survive, are still on her side, encouraging her to live fully. And with the love and support of her mother, brother, and her caring boyfriend, Emilia is doing just that. But when a startling discovery about her attacker's identity comes to light, and the memories of that day break through the mental box in which she'd shut them away, Emilia is forced to confront her new reality and make sense of shifting truths about her past, her family, and herself. 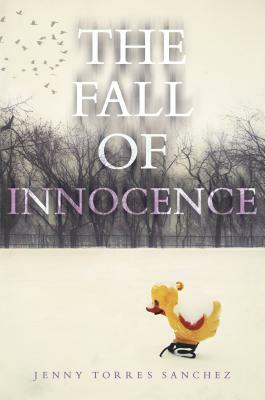 A compulsively-readable tragedy that reminds us of the fragility of human nature. Jenny Torres Sanchez (www.jennytorressanchez.com) is a Pushcart Prize-nominated full-time writer and former English teacher. She was born in Brooklyn, New York, but has lived on the border of two worlds her whole life. She is the author of Because of the Sun; Death, Dickinson, and the Demented Life of Frenchie Garcia; and The Downside of Being Charlie. She lives in Orlando, Florida, with her husband and children. Follow her on Twitter @jetchez.